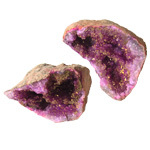 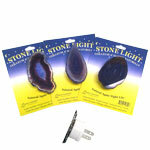 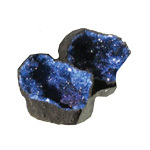 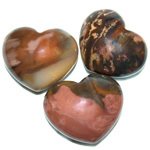 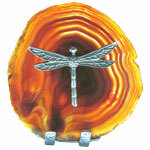 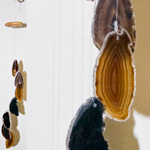 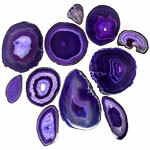 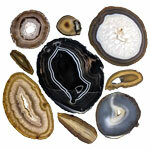 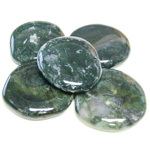 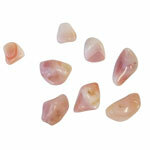 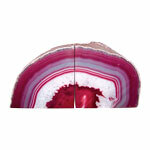 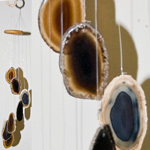 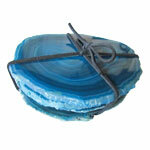 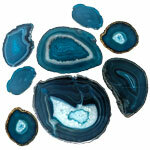 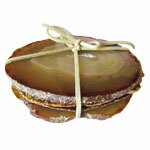 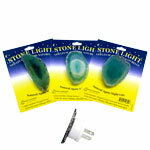 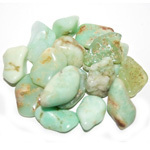 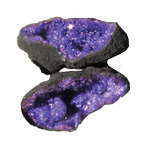 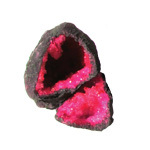 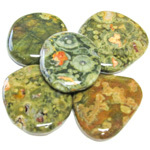 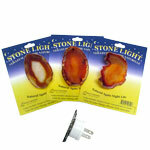 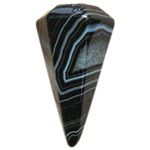 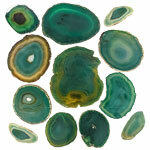 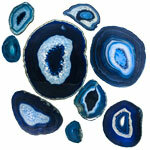 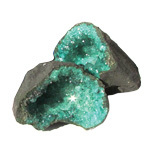 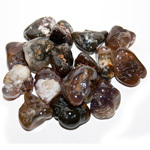 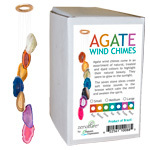 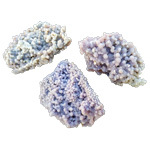 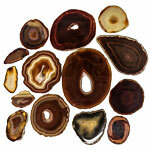 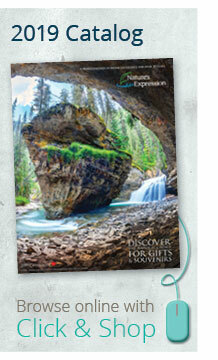 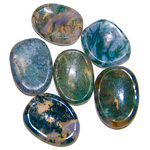 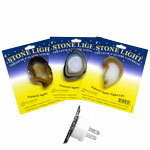 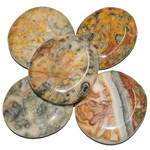 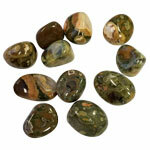 Find agate for use in home decor, gift items, garden accents, jewellery and souvenirs. 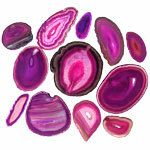 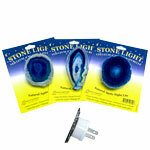 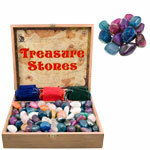 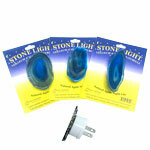 Agate is a variety of quartz which comes in many colours and varieties. 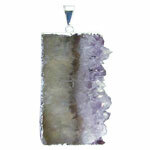 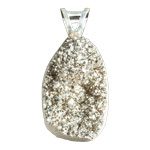 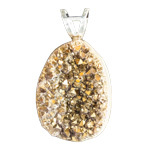 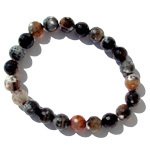 The bands are variations of crystalline and microcrystalline quartz. 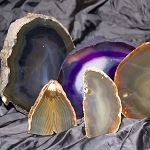 Agate generally contains browns, grays, blues and whites. 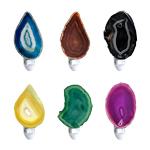 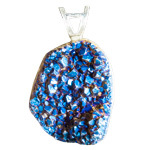 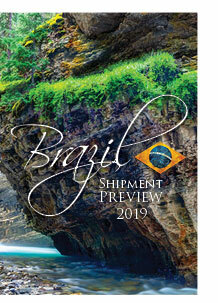 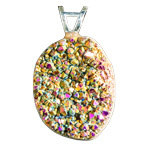 The bright colors are induced through various chemical processes to highlight the natural beauty of the stone. 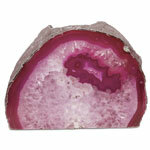 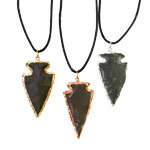 The original name for agate is chalcedony.